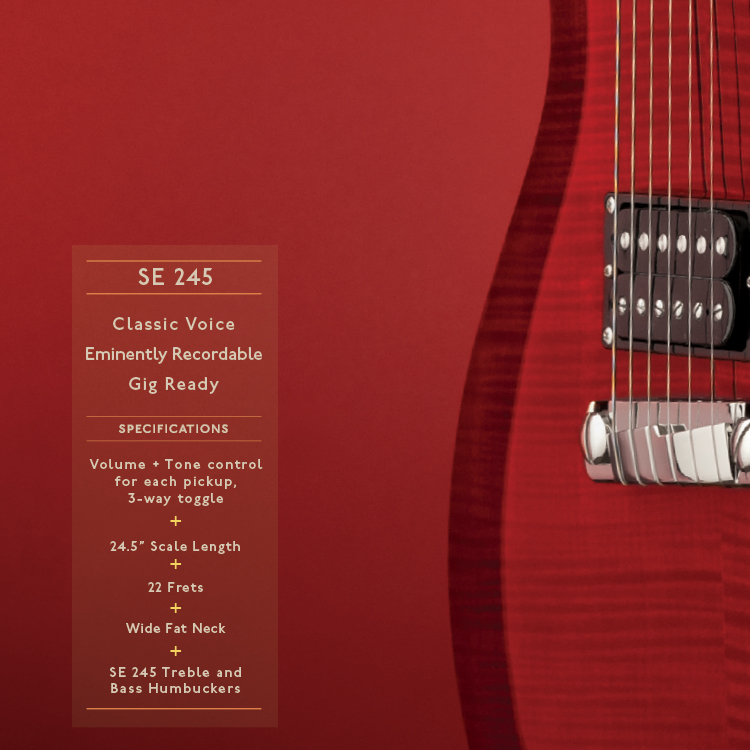 The SE 245 featured a unique set of specs that would appeal to certain musicians. 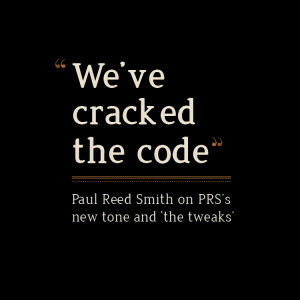 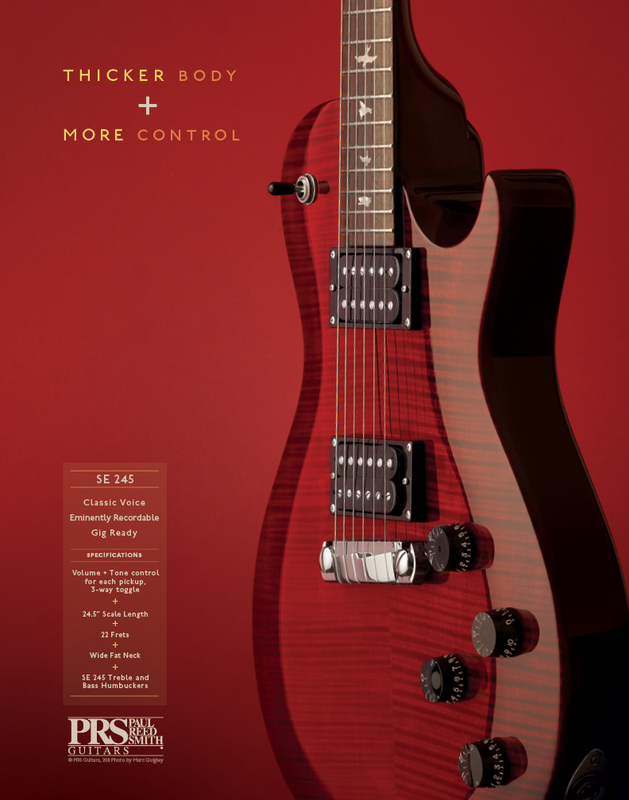 PRS wanted to get the word out with a print ad that would ‘pop’ out of a guitar magazine. 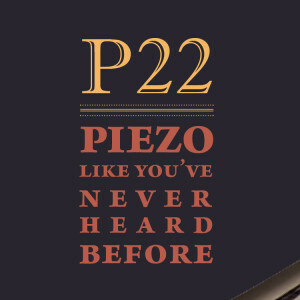 This ad is a part of an ad series we created for PRS. 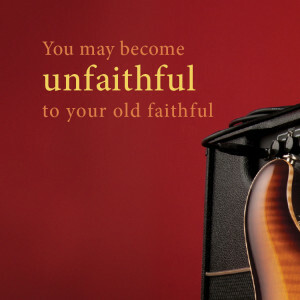 By implementing several unifying elements in all ads – an eye catching solid backdrop color, PRS’s signature stunning photography and a unique, slightly edgy headline – all ads in the series came to be favorably recognized as PRS’s ‘style’ of that year.